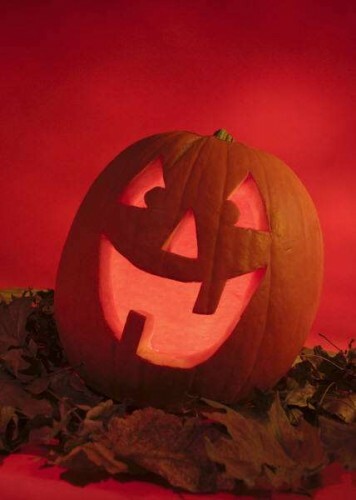 Halloween in Fawnskin is fun and events across the valley attract both locals and visitors. For this week’s TOT GG has created a list of her favorite activities that are sure to be fun for visitors and locals alike. The determination has been made regarding the operations of the Fawnskin Post Office. Effective January 12, 2012 the facility retail hours will be Monday-Friday from 9:30am until 4:30pm with lunch break from 12:30pm until 1:30pm. Saturday hours will remain 8:30am until 10:30am. Access to delivery receptacles will not change as a result of the POST Plan realignment of weekday window service hours. No mention of staff changes have been made. One of our favorite peeps will help people get batty at the Nature Night here in Fawnskin. There are 25 different species of bats in California and 20 of those reside in the San Bernardino National Forest. GG loves watching them swoop up those insects but you might not know just how fragile and important they are. Linda Stamer dispels the myths and discusses fun bat facts at the Discovery Center. this week. Admission is free and open to all ages. The event starts at 7:00pm and if you arrive early, kids can decorate a bat cookie. The Discovery Center is at 40971 North Shore Drive in Fawnskin. Call (909) 382-2790 for more information. GG wants to go so let me know if you are going so I can carpool with you. The United Methodist Church of Big Bear over here on the North Shore will host their annual Halloween Carnival from 5:00pm until 7:00pm. In case you forgot, it is located at 1001 Holden Avenue in Big Bear City. Kids of all ages are welcome and costumes are encouraged, but not required. Activities and games are offered and suitable for children up to age 12. Snacks and other tidbits will be available at a minimal cost and games are 10 cents. For more information, call (909) 585-4089. The annual Halloween party at Moose Lodge 2085 is always a hoot. Costumes, music, food, games and other frivolity will be taking place after dark. Moose Lodge 2085 & WOTM 359 is located at 39211 North Shore Drive in Fawnskin. The event is open to members and guests but if you ask nicely, chances are you can get sponsored as a member. Bring a potluck dish to share. For more information call (909) 866-3013. Boo in the Zoo is a favorite and if you a seeking an Halloween adventure join the fun at the graveyard, the pumpkin patch, the electric dungeon of doom, scarecrow land or the witches lair at the Big Bear Alpine Zoo. Kids and animals will get to enjoy Halloween treats. Hours are 1:00pm until 5:00pm and the event is included with regular admission. Call (909) 878-4200 for more information. Halloween in the Village is one of the favorite events of the fall season. Everyone closes up and work together to provide safe trick or treat excursions. Pine Knot and The Village Drive close to motor vehicles between 4:00pm and 9:00pm. Festivities begin at 4:30pm until 8:30pm. That’s it for me this week but be sure to let me know if you are having a Halloween soiree so I can crash it. This entry was posted on Thursday, October 25th, 2012 and is filed under Activities, Events, Talk of the Town.